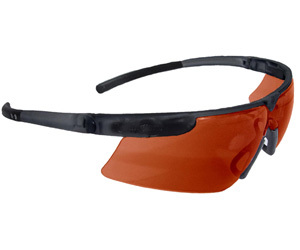 Remington Safety Glasses provide maximum impact resistance. • The T-10™ is perfect for youth or smaller adults. •It has a modern styling that is ANSI Z-87+ certified. •Soft, rubber temple pads provide a comfortable, secure fit Neck cord included. •Sporty, bayonet temples with soft, non-slip temple pads . •Adjustable, soft rubber nosepiece provides a comfortable fit . 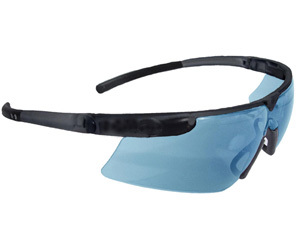 •Full, wraparound lens provides unobstructed view. •Meets ANSI Z87.1+ impact standards. 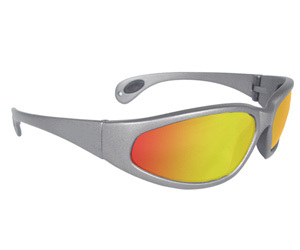 •Sporty temples with soft, non-slip temple pads . •Soft rubber nosepiece provides a comfortable fit .